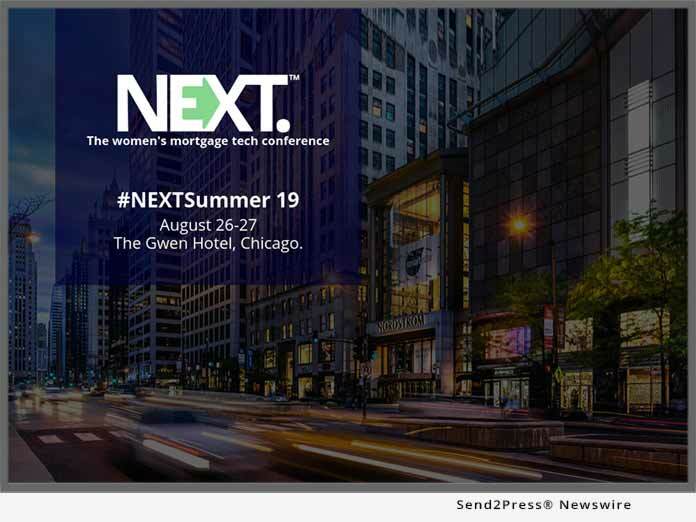 EDMOND, Okla., Mar 21, 2019 (SEND2PRESS NEWSWIRE) -- NEXT Mortgage Events LLC, creator of the NEXT women's mortgage tech summit, has announced its summer 2019 event dates. The event, hashtagged #NEXTSummer19, will take place Aug. 26-27, 2019 at The Gwen Hotel in Chicago. Registration will open to the public in April 2019. "Hosting NEXT in a luxe new venue in a world class city adds to the many factors that make NEXT such a hit with our attendees," said Jeri Yoshida, co-founder of NEXT. "Already nearly two dozen lenders have pre-registered to attend NEXT in Chicago this August."